1. Place all 3 ingredients into a blender. Blend until all 3 ingredients are liquid smooth and fully combined. 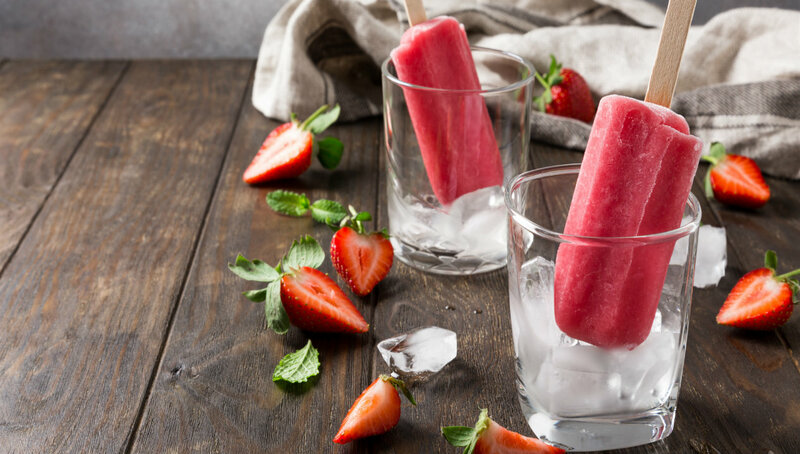 Pour strawberry mixture into popsicles moulds. Discard any remaining mixture. If using handles that came with your Popsicle moulds place those over the moulds and freeze your popsicles for several hours (the longer the better). If you’d like to insert Popsicle sticks, allow popsicles to freeze for 1 to 2 hours and then insert wooden sticks. Allow to freeze completely before serving. 2. Once popsicles are completely frozen, run Popsicle moulds under lukewarm water for about 30 second on each side, this will make removing ice pops much easier.